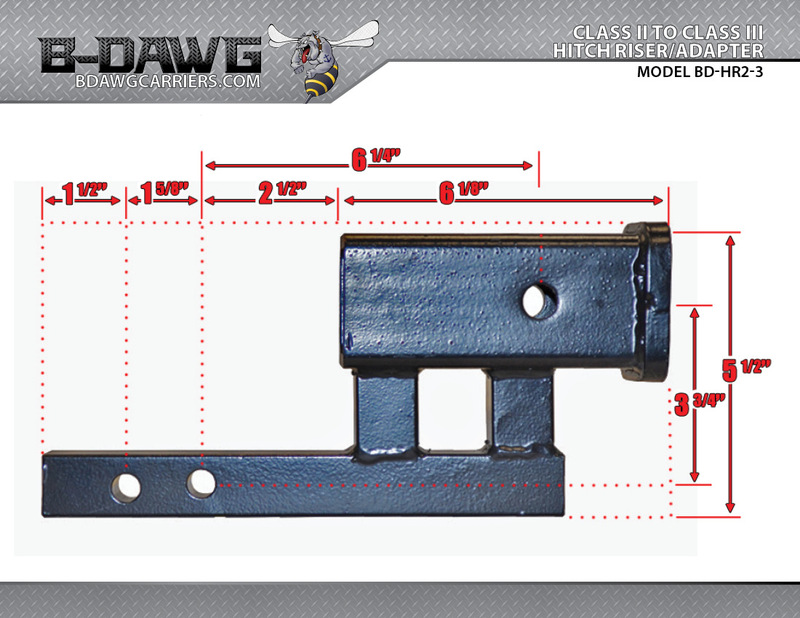 Introducing our all new line of B-Dawg® Hitch Adapters. 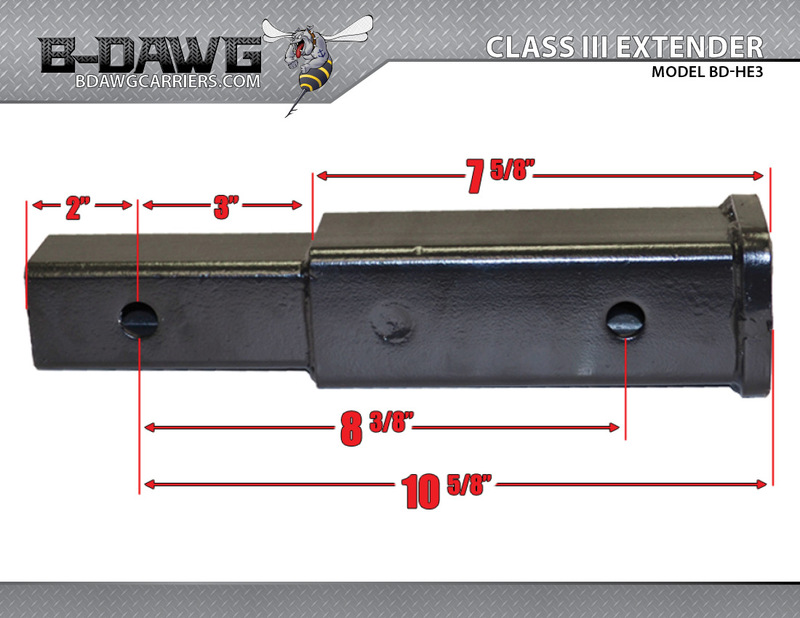 Whether you need to raise, extend, or even convert your Class II hitch to a Class III, we have you covered. 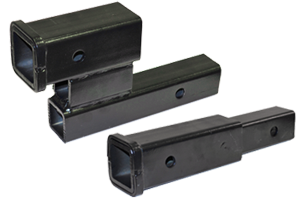 The B-Dawg Class III Hitch Extender attaches to your existing 2" hitch receiver in order to increase the length of your hitch. This quality steel hitch extender is perfect for getting your attached motorcycle carrier of other hitch attachment around a spare tire or bumper. 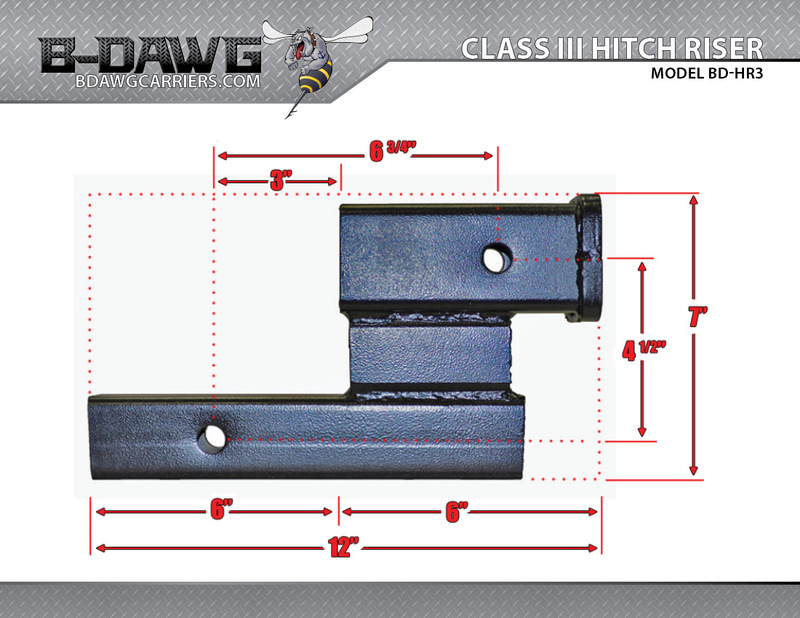 The B-Dawg Class III Hitch Riser attaches to your existing 2" hitch receiver in order to either raise or drop your hitch level by 4". 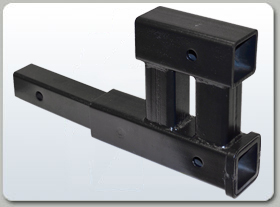 This quality steel hitch riser is perfect for giving you the proper clearance to haul a wide variety of hitch connections. 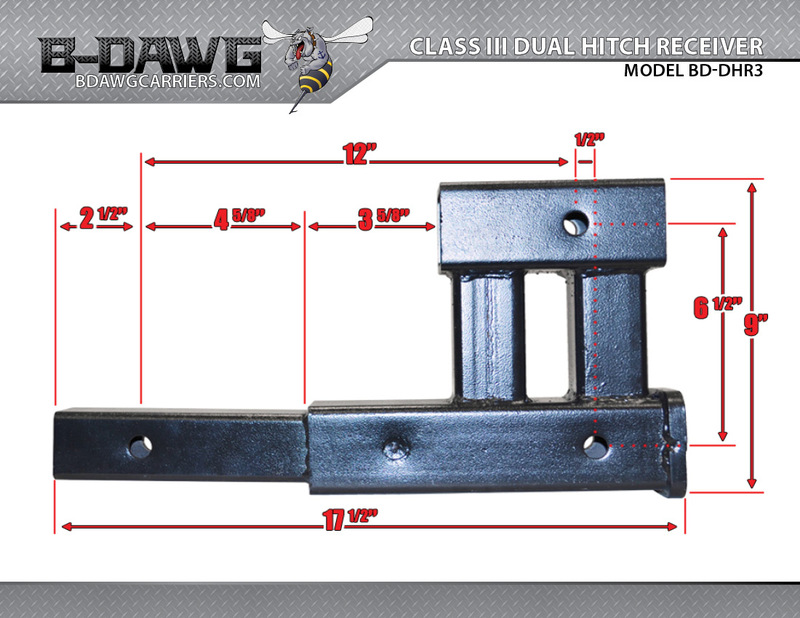 The B-Dawg Class II to Class III Hitch Riser and Adapter attaches to your existing 1.25" hitch receiver in order to either raise or drop your hitch level by 3.75". 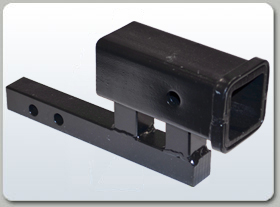 In addition, it converts your Class II (1.25") hitch to a Class III (2") receiver which can accept a wider range of attachments. 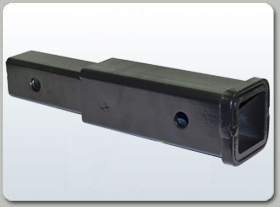 This quality steel hitch riser is perfect for giving you the proper clearance to haul a wide variety of hitch connections. The B-Dawg Class III Dual Hitch Receiver attaches to your existing 2" hitch receiver allows the hitch to be used for dual purposes. The dual receivers are both standard Class III (2") receivers, one of which is towing-ready. 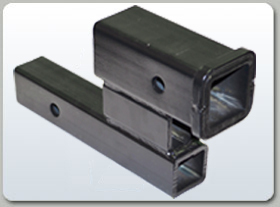 The bottom receiver is perfect for towing a trailer or camper, while the top receiver can be used to haul a bike rack or other hitch accessory.